Adrift in the North Atlantic Ocean, the Bermuda Islands are renowned for their sugary pink sands and dazzling turquoise waters in a whole rainbow of blues. Discovered by Christopher Columbus on his way to the New World, this stunning archipelago of 180 islands and islets, just 21 miles long, is home to a wonderful mix of hidden sea grottoes, crumbling C17 forts, lush flower-filled fields and, of course, a fantastic array of postcard-pretty beaches. It's the perfect destination for a relaxed activity holiday, with the surrounding seas warmed by the temperate Gulf Stream, the waters are home to a magical array of coral reefs and hundreds of colourful fish - you may even spot humpbacked whales basking offshore. All across Bermuda you'll find a wonderful mix of cultures as Britain's colonial heritage merges with African, Caribbean and Native American roots. On an activity holiday you'll discover brightly coloured houses with vivid white stepped roofs which create a patchwork of pastel throughout the islands, red phone boxes baking in the sub-tropical sunshine, and businessmen wearing their smart suits with Bermuda shorts! 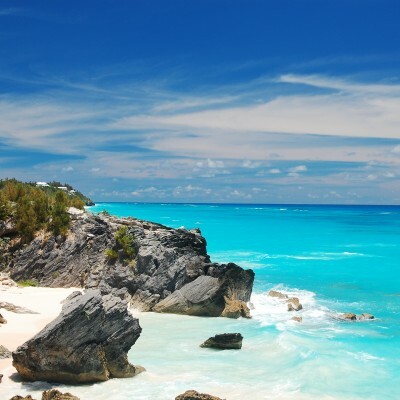 Famed for its stunning turquoise waters and pink sand beaches, the stunning archipelago of Bermuda is a tiny historic treasure trove packed with natural beauty - flowers, fish, birds - and fabulous year-round sunshine.